Sometimes a past nose job needs to be redone because a patient is not happy with the results. Generally, Revision Rhinoplasty is performed to correct the work of an inexperienced surgeon, obtain results that more closely matches a patient’s expectations, or to address a problem that may have developed after surgery. Dr. Brian Maloney and his team of experts at The Maloney Center for Facial Plastic Surgery in Atlanta, GA can re-sculpt the nose and make patients look as if the primary nose job had never been performed. Revision Rhinoplasty is typically a much more complex and difficult operation. 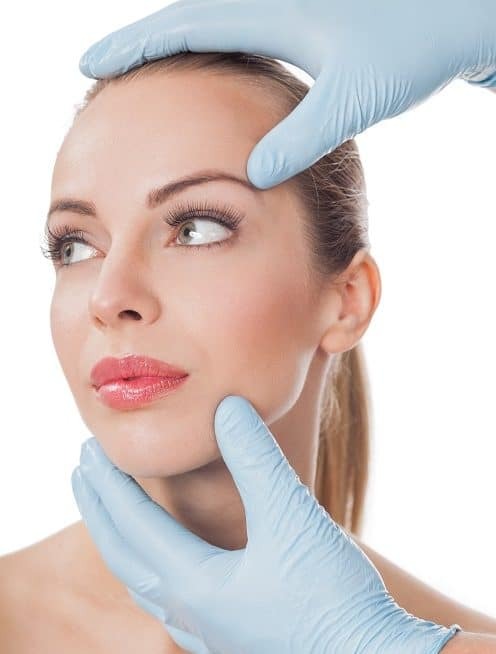 Unlike initial Rhinoplasty or nose surgery, revision of a bad nose job or unsatisfactory result after Rhinoplasty is a much more difficult operation. Scar tissue makes the dissection of the nose much more challenging and cartilage can be very weak and scarce. Therefore, Revision Rhinoplasty requires an extremely skilled and experienced surgeon such as Dr. Brian Maloney. Before performing Revision Rhinoplasty, Dr. Maloney works with the patient to identify the reason why they are unhappy with the results of the primary Rhinoplasty and then sets specific and realistic goals for the revision procedure. Vague statements or abstract goals are counterproductive and will not help to develop a successful treatment plan. It’s also important not to be premature in decisions regarding Revision Rhinoplasty. Swelling distorts the final results of a nose job; it can take a year to 18 months for the swelling from a primary Rhinoplasty to fully dissipate. In the case of over-correction, there may not be enough cartilage left to properly sculpt the nose. Dr. Maloney may need to graft cartilage from other areas of the body to reconstruct the nose. Common cartilage sources are the ear and ribs. The patient may also have scars and tight skin from the primary Rhinoplasty procedure. When these factors come into play, Revision Rhinoplasty essentially becomes much like a reconstructive surgery, which is why it’s critical to have an experienced surgeon.